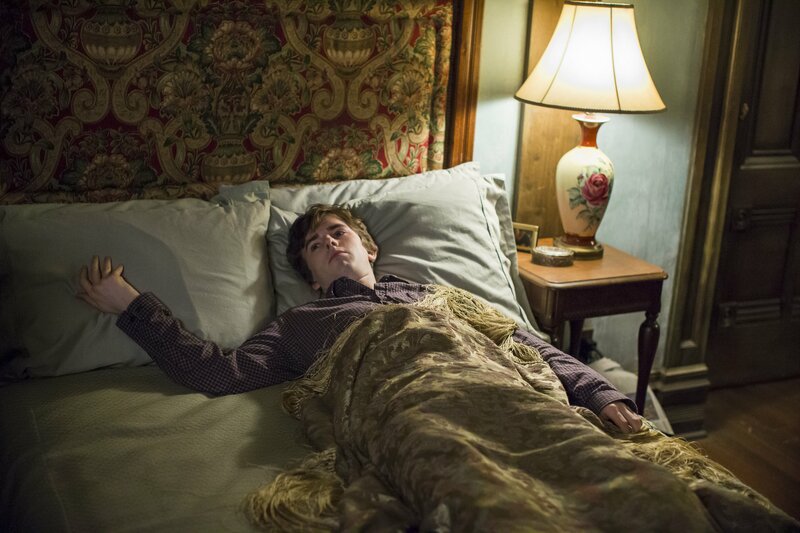 Norma leaves and Norman starts throwing stuffs at Dylan, screaming at him for driving her away. Dylan punches Norman which knocks him down unconscious. Norma is driving away and stops in the middle of nowhere after getting a million calls and texts from Dylan. The she shoots in her own car and drives forward. Norman says, this is what she does, she leaves. He points out how she left Arizona and moves away from Dylan, how she left her parents forever and everything. He does make a lot of sense. Norma is a leaver. Dylan, however, assures him that she wouldn’t leave her. Emma comes in and Dylan fills her in on the details and it’s warm to see him being all older brotherish and worried over Norman’s condition. At the grocery store, Romero gets shot at, possibly by one of Paris’ men. Romero wakes up in the hospital and makes a big deal about getting his phone. He dials Norma, obviously because he is worried about her safety. If he can get shot, who knows what they can do to Norma. Matter of fact, Norma is being followed. After buying a lot of new outfits, she trades in her car and checks into a motel. Norma lies in the bed and recalls her childhood days. She and Caleb are hiding in a box when their mother is tolerating violence from their father. Dylan goes to Caleb and tells him that he needed to leave, provided the way Norma took his presence, Dylan could not have him around anymore. 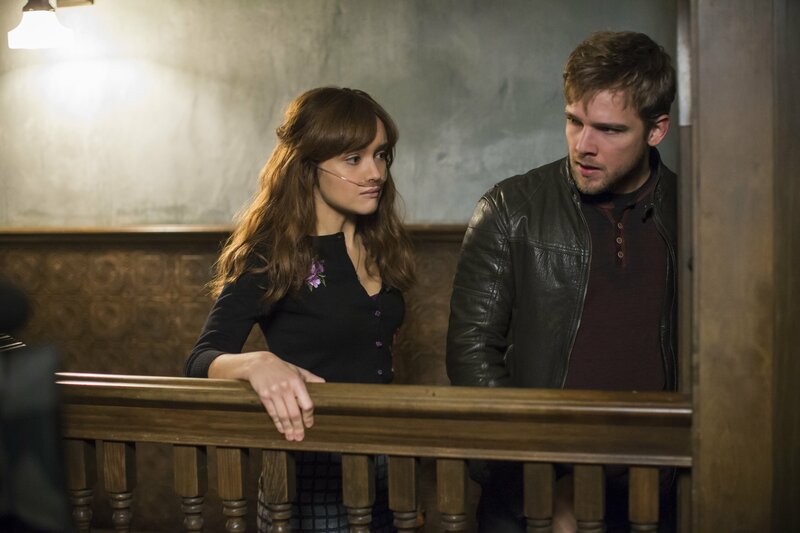 Norma goes to the bar and meets a guy who’s a big pervert and Norma leaves after they get into a screaming match. 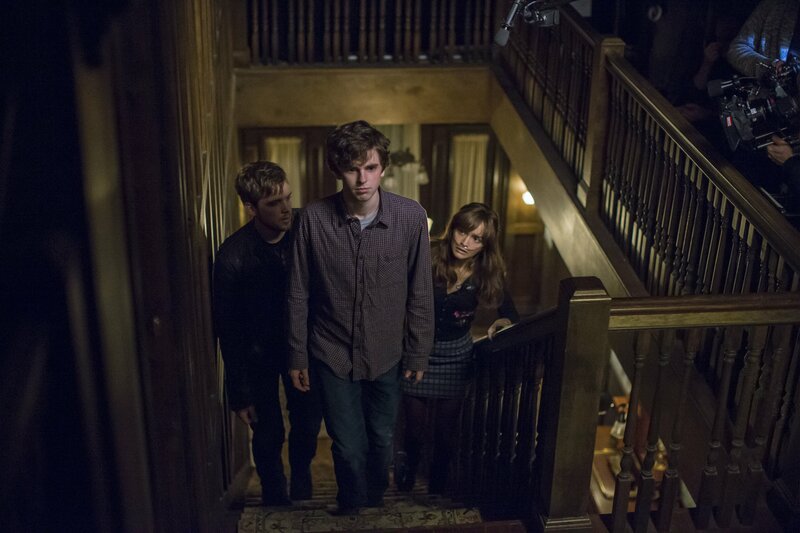 Norman has turned into a living statue and Dylan and Emma are trying everything to bring him back. After putting him to bed, Emma starts coughing hard. Dylan helps her to get the cough out and she tells him that she loves the family and would like nothing more than to be a part of it. Romero attacks the guy running for sheriff and then kills him after he threatens Romero to work for him or be killed by Paris. Norma calls James from a payphone and asks if she can come over. He is woken up in the middle of his sleep but despite that, acts very comforting towards Norma when she comes over. Norma first tells him that she left home because her sons wanted her to talk to her brother who was very horrible towards her when they were kids. Then she starts to talk about Norman. She tells him how Norman killed his father. Norma then realizes what she did and makes him promise that he won’t tell anyone about what she told him. She is about to leave but James puts her to bed and well, she kisses him. He resists at first telling her that she needed him more as a therapist right now but then geos for it anyway. 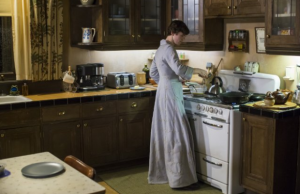 Norman is dressed as Norma and plays his mother and for the first time, someone sees him in this form. Dylan is all confused and astonished and trying to get accustomed with all the insanity. Norma wakes up and tries to leave when James tells her that she needed some time to herself. She replies that she was a parent and did not have any needs of her own. After going home, she wakes up her sons and tells them that they had to go to the farm so she could talk to Caleb. Norma and Caleb are finally face to face and Caleb falls to her legs saying sorry to her. They both start crying and Norma hugs him. And that’s where it ends for now.